IRTA alerts the industry to the findings of a comprehensive investigation and report on Daniel Evans and Ormita. The Ormita Report, released on March 26, 2014 reveals a long history of misinformation and fraudulent activities by Daniel Evans and his company Ormita. The Ormita Report was well researched and written by New Zealand author and blogger Dennis Smith and it provides credible evidence that Ormita is an international con. The findings of The Ormita Report are consistent with IRTA’s knowledge of Mr. Evan’s deceptive business practices and Ormita as a fraudulent organization. According to the author, Ormita is “little more than a one-man-band using smoke and mirrors” and Ormita’s claimed trade volume figures are a “total fabrication”. IRTA highly recommends that you read the report, and then inform any barter companies or organizations that are considering doing business with Daniel Evans or Ormita, as well as any victims of Mr. Evans and Ormita. 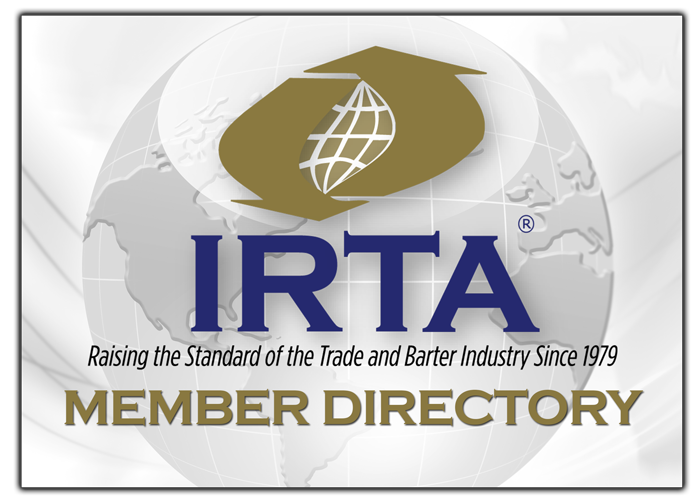 IRTA was founded in 1979 to foster the common interests of the worldwide barter industry and to uphold high standards of ethical business practices within the industry. Over the last thirty-five years IRTA has taken a proactive role in preserving, protecting and enhancing the global barter industry. We believe that IRTA has a responsibility to expose and confront dubious barter operators so as to protect the public and fellow barter industry members from harm. Widespread dissemination of this comprehensive report will be of benefit to the international business community. The Ormita Report can be found at www.theormitareport.com.